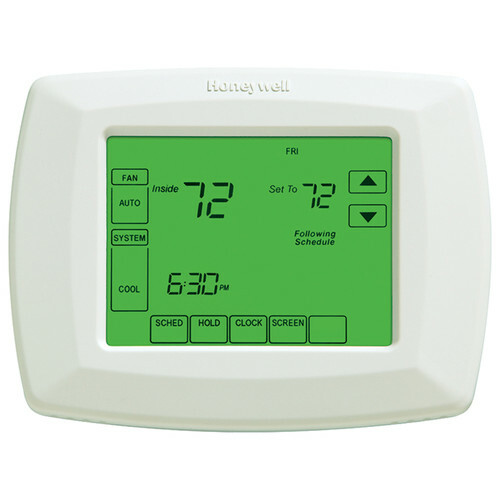 The RTH8580ZW 7-Day Programmable Touchscreen Thermostat with Z-Wave Module from Honeywell provides energy-saving temperature control for your home. It is equipped with an easy-to-read backlit touchscreen display. 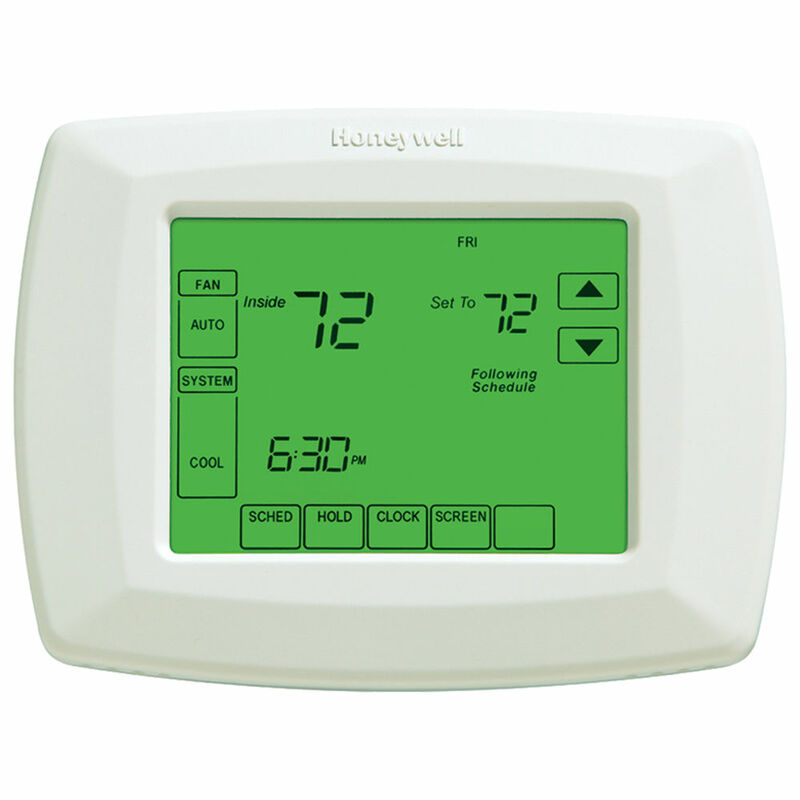 This thermostat offers 7-day temperature programming, along with Smart Response technology to learn your heating/cooling cycles, delivering the ideal temperature at the right time in your space. The auto changeover feature is designed for climates where both air conditioning and heating are used on the same day to ensure that the right temperature is always selected. Built-in compressor protection prevents equipment damage by forcing the compressor to wait a few minutes before restarting. Replacement reminder alerts notify you when it's time to replace filters and other components. This device works with Alexa and Google Assistant for voice control. A Z-Wave hub and C-wire are required for operation.